My homemade cat food recipes are below. Your kitty will love you for taking good care of them. As a pet owner, no doubt you want to give your dog or cat the best care possible, because they are part of the family too. So caring for your cat means feeding them the best diet you can. Cats love fish, turkey, chicken, liver, and lamb. 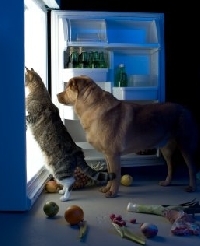 As you are well aware of, cats are fussy eaters and it is not wise to continually feed them their favorite foods. Soon they will refuse to eat anything else; it is your job to see your cat has a balanced diet. Warning: Do not feed cats onions, chocolate, grapes and raisins and milk (most are lactose-intolerant); this applies to dogs as well. Although milk is not toxic to cats, it may have adverse effects. Adult cats fed a nutritious diet do not need milk, and many cats are lactose-intolerant. Like humans, this causes stomach upset, cramps and gas. If your cat loves milk, and begs for it, a small amount of cream may be okay, twice a week. 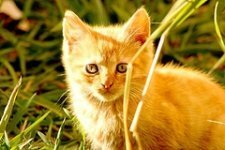 As a cat lover and owner, you want the best for your cat. They're just like humans - the more nutrients and minerals they get from their food, the healthier they are. Of all the store-bought brands of cat food on the market, my furry friends, Sasha, will only eat Meow Mix. Fortunately, he loves the homemade cat food recipes I make for him, so I know he's getting the foods he needs to keep him strong and healthy. Basically, cats prefer homemade cat food with meat, poultry, and dairy products. They don't know it, but they also need some vegetables in their daily diets as well. What they never need is onions, starchy vegetables, like peas and corn, salt, sugar, chocolate, fruits, nuts, mushrooms, caffeine, spices, peppers, and bones. 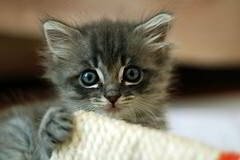 Cats can usually chew up and digest soft, canned salmon bones, but they can't handle chicken and other hard, small bones. Here's an easy cat food recipe to prepare, and your cat will love it. Microwave or boil chicken breast until it's cooked. Add eggs, and microwave 2-3 minutes until it's all cooked through. Toss in beans, add fish sauce. A wonderful way to save money is to dehydrate the cat food in advance; a great time saver. Check out Dehydrating Pet Food, and easily learn how to do this. Cook and drain the rice. While the rice is cooking, Place the tuna and hard boiled egg in a small skillet. Add the rice and continue cooking, stirring all the time with a wooden spoon. Blend in the egg yolk, then the cream. After a last few stirs, tip onto a plate and allow to cool. This is a great homemade cat food recipe. Place butter in a pan over medium heat. Add the sardines and cook for a few minutes. Break the sardines up with a spoon and add the remaining ingredients. Bring to a boil and take off heat. Let it cool and it's ready. Process all but broth in a blender or food processor. Add enough broth to so ingredients hold together. This same recipe can be used with fish (broil or microwave until it flakes.) You can also vary the recipe by adding rice or other vegetables. Cats love tuna, and this recipe is no exception. If tuna is in oil, do not add the canola oil. Cats love it when you use this homemade cat food recipe. Tuna has thiaminase. Thiaminase is an amino acid that breaks down the thiamin in a cat's body. Thiamin is necessary to aid in vitamin E absorption in the feline body. A steady diet of tuna is very harmful to the physical status of a cat. Mix together and it's ready to go.